Winter is truly here, keeping our homes warm is crucial. And with energy prices remaining high, it’s now more important than ever to think about cheap and efficiency ways to keep your home warm and to make sure you’re not paying more than you have to on your energy bills. 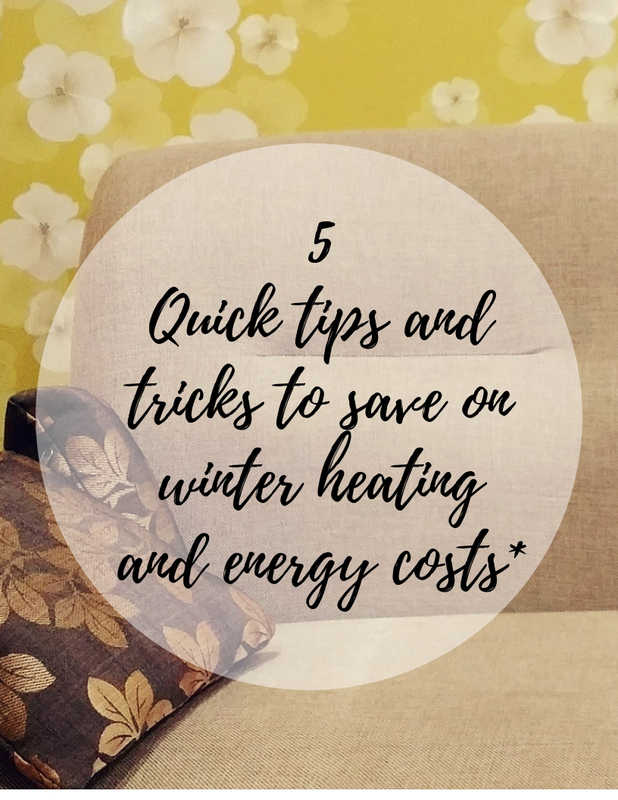 Today I am sharing with you some easy and cheap ways to save yourself some money and keep your home a little warmer without spending a lot of money. Common places for drafts to enter your home include; underneath doors and around windows. Invest in a door draft stopper, simply place the insulator against the bottom of your door or window and it will stop the cold air coming through. For windows tape along the edges of the window panes as this can prevent those pesky drafts from making the room feel cold. Although natural sunlight is a great and free way to keep your home warm during the day. As soon as the sun sets, it is a good idea to close your curtains to stop heat being lost. Keeping radiators free from obstructions is one of the best ways to make sure that the heat travels across the room as much as possible. As your boiler gets older it becomes inefficient and often unreliable leading to more breakdowns and increased energy use. That means the cost of using your boiler will increase over time. There are lots of advantages when it comes to new central Heating Boilers. One being they are safer than older central heating systems and will not leak carbon monoxide, which is one of the biggest threats with older boilers. Wooden floor boards and tiled floors can directly make you feel cold when you walk on them. A rug not only can make a room look good, it can act as a heat trap. Those are some quick tips and tricks to save money on winter and energy costs. But do remember that while there are many ways to help save money on heating costs, not every way will be applicable to your home. Do you have any energy saving tips?